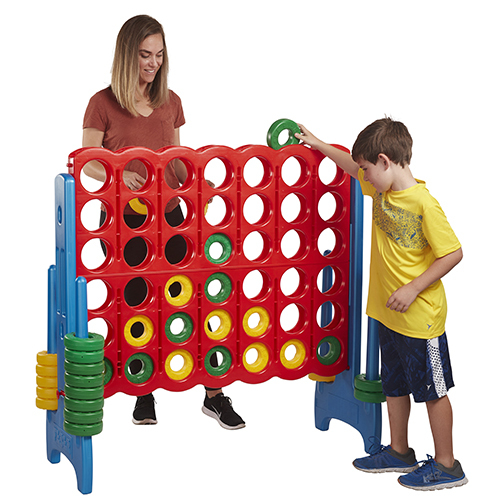 Actual Size: 48" x 22.5" x 46"
This classic connect four game has been reinvented into a giant sized indoor or outdoor attraction! Gather the gang from toddlers to adults, everyone will have fun! Jumbo Connect 4 is great for two players, and also works with teams for epic kids vs. grown-ups challenges. Very easy to play, with convenient holders to stack up the large rings. 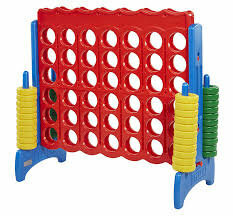 This great game can be used for any variety of events. Now, who will be the first to get four in a row?